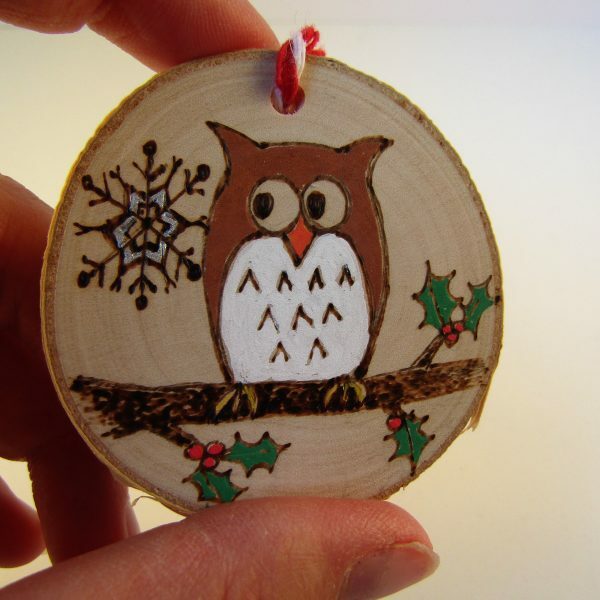 Festive owl pyrography christmas decoration. My own design hand drawn and hand burned on a rustic solid wood slice (with thin layer of bark round edge). Names and other wording/dates can be added either on front or back. for eample: name, “babys first christmas”, name and year, christmas phrases etc. Colour can be added or left out if wanted. I hand draw and hand burn all my pieces, no templates, stenciles or lasers are used. Each decoration is unique and will not be exactly as seen in this photo. owl designs vary. if there is anything specifc you want please let me know. Please write in the notes section when ordering if you would like this item personalised. This item is made to order and will take approx 2 weeks to process. Various other designs available. Commisions welcome! Dont see what you want? Let me know, I’d be happy to design something for you! Woodland scene wooden book shaped box. 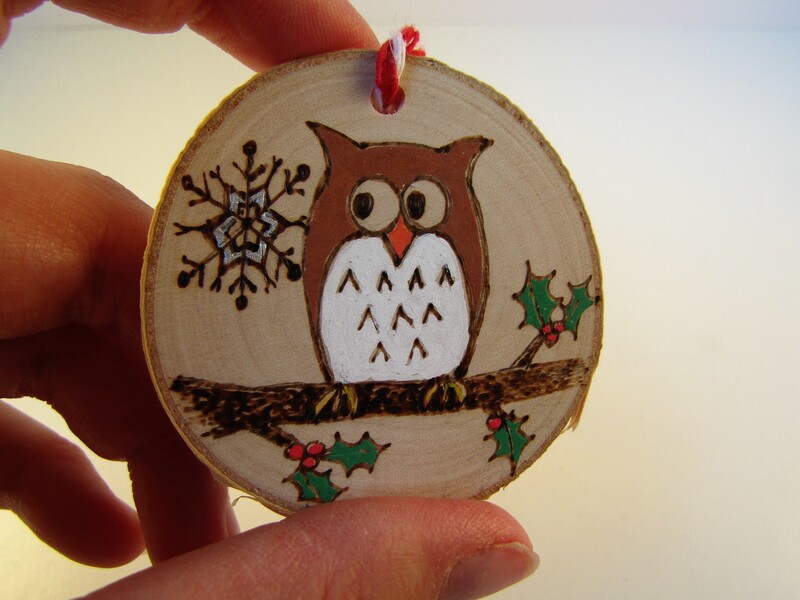 hand burned pyrography keepsake. Squirrel pyrography bookmark. Hand burned wooden bookmark. Can be personalised.